Obituary for Loretta Jane Comegys "Mommom Retta" | Crouch Funeral Home, P.A. 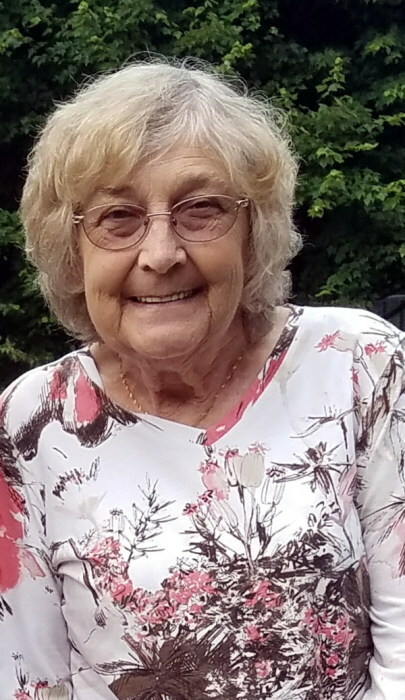 Loretta Jane Comegys "Mommom Retta"
Loretta Jane Comegys (Mommom Retta), 73, of North East, Maryland, went home to be with the Lord Saturday, August 11, 2018. She was peacefully at home surrounded by family. She was born a true coal miner’s daughter in War, West Virginia, on November 14, 1944, to Frank and Hazel Buchanan (Pop & Granny). Loretta is survived by her loving husband, Bob Comegys; five children, including Donna Harvey (Harv), Debbie Leflar (Tim), Christine Reiners (Keith), Ron Dawson Jr. (Bernadette), and Buck Comegys (Melanie); five siblings, including Jimmy Buchanan (Judy), Jerry Buchanan (Carol), Gerald Buchanan, Perle Mann (Bill), and Merle Gilbert (Huck); eleven grandchildren, including Tiffany, Courtney, Meghan, Katelyn, Alexis, Savannah, Victoria, Jordan, Madison, Christopher, and Cameron; six great grandchildren, including Baylee, Gabby, Jase, Brennan, Mason, and Everlee; and dozens of special nieces and nephews, as well as her “sis” Flo. She is preceded in death by her two siblings, Bobby Buchanan and Teenie (Nana); her nephew, Billy Mann; and her brother-in-law, Huck Gilbert. Loretta and Bob were true soulmates. They loved traveling (especially to Disney World) going to tractor pulls, and shopping. Her beautiful grandchildren and great grandchildren lit up her world. Loretta was an active member of North East United Methodist Church, and touched the lives of countless family, friends, and acquaintances. A funeral service will be held Friday, August 17, 2018, at 12:00pm at Crouch Funeral Home, P.A., 127 South Main Street, North East, MD, with visitation beginning at 10:00am.